This blog has the potential to be very long, but I will keep it as concise as I can. To start off, exactly one week after I posted my last blog, my father died. It was completely unexpected. Though it has been over six weeks since it happened, and I have been able to make it through most days without crying over it, the sadness still feels so new. I don't know how long it will take me to get over the shock, but I feel like I will never be used to the fact that he is gone. Brad, Jocelyn and I flew back to California for his memorial. Though the circumstances were pretty much the saddest ones that I could imagine, it was nice to get to see all of my siblings, their significant others, and their children. My sister, Amanda, prepared an amazing slide show of photographs from my Dad's life. It can be viewed at the website for her new slide show making business www.slideshowdvds.com . Below is a short slide show of pictures form our trip. When we got back to Japan, things weren't going so peachy for me. I had started planning Jocelyn's birthday party, but decided to postpone it. I had to take three final exams for school. 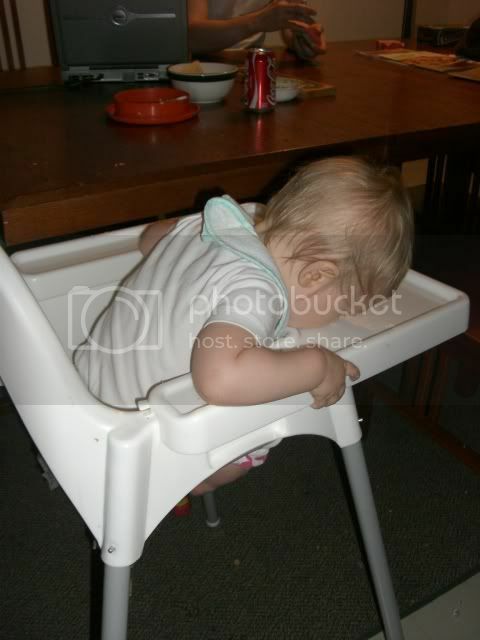 I couldn't really eat much and was feeling really sickly thanks to baby number two. I really needed to start getting the house organized for our move, but every time I tried to figure out where to start, I just got so overwhelmed that I cried and did nothing (that doesn't work). I decided to take this term off of school just because my anxiety levels were too high and I wasn't handling life as well as normal. We will be leaving Japan for good on the 16th of May. 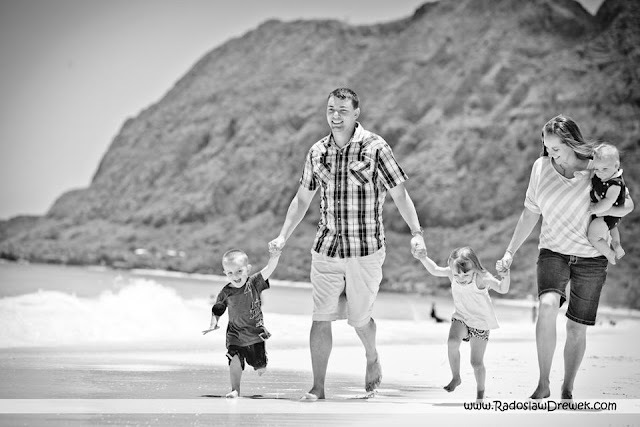 We will then spend over three weeks in Nebraska and head to Hawaii on the 9th of June. I think that I will be fine as soon as we get settled in Hawaii. Going to Bass Lake in July is going to be a nice break and then hopefully life will just get back to normal after that...well, normal for me anyway! Baby number two, Samuel or Caelyn/Carolyn/Marilyn/Jaquelyn, is due on October 17th. I already have our family Halloween costumes planned out. 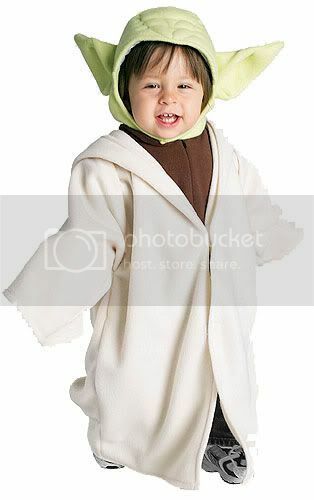 Boy or girl, the new baby will be Yoda. 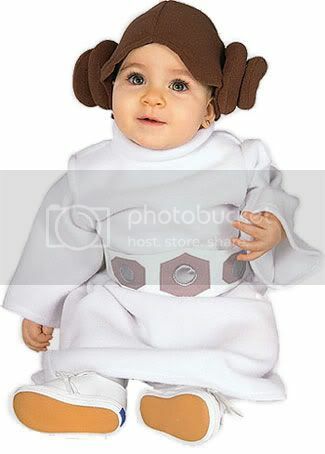 Jocelyn will be Leia, and Brad and I will Anakin and Amidala. Of course, I will not be spending $160+ on these actual costumes. I will make them myself. Look forward to how adorable our photos will be! Jocelyn had fun on her first Easter. We didn't decorate/hide eggs or anything. But, we did give her an Easter basket with a white chocolate bunny and she loved playing with the pink plastic grass that was in it. She looked so cute in her dress. Brad has been working A LOT. Two weeks ago he had duty Tuesday, Thursday, Friday, Saturday and Sunday all in the same week (duty is when he has to stay aboard the ship on watch over night from 5 pm to 7 am). He is so happy that he doesn't have to be deployed with the USS George Washington again this summer. He is really looking forward to being on shore duty (no deployments) for the next four years. We are considering coming back to Japan next summer so that we can climb Mt. Fuji. Climbing season is from June through August and he has been underway all summer for the last three years. I flew to Hawaii last week because I found a minivan online that I really wanted. I searched Cars.com and found 57 dealerships on the island of Oahu. 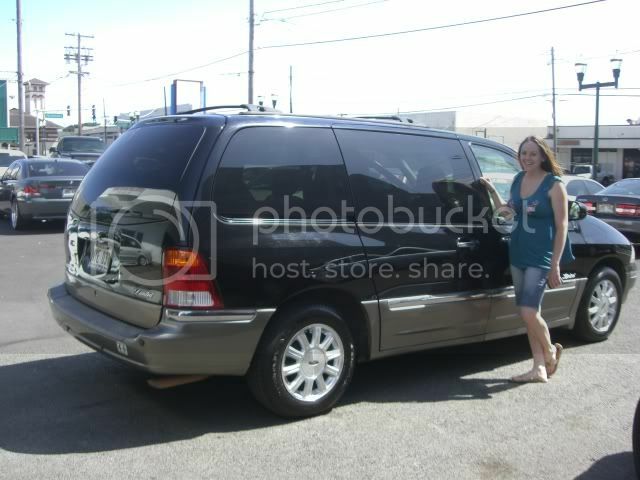 Out of 57 dealerships, I could only find 5 used minivans under $10,000! There was only one that I actually liked so I bought a plane ticket to go buy it before someone else did. After I bought the ticket, Brad did a Carfax vehicle history report online and discovered that the van had been sitting on the lot since October. Oh well. I got to see Melynda for a couple days. I got a really good deal on the van and an added 4 year 48,000 bumper to bumper warranty. On Jocelyn's actual birthday (March 29th) we gave her some gifts and a cupcake. These are the pictures from that day. On the day of Jocelyn's birthday party (April 26th) she was not feeling well. She had a fever and didn't want to eat anything. She pushed all of her gifts away and was just a big grump. 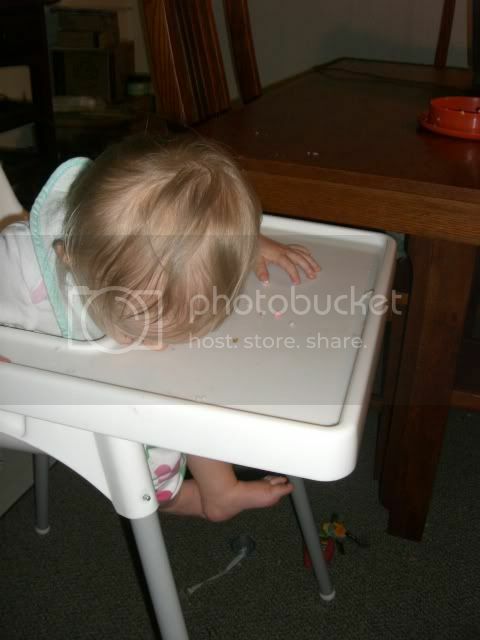 She slept for most of the party. These are the photos from that day. Well, that just about covers it for now. It might be a while before I get the chance to update again because the movers are coming a week from today to take the computer...and who knows when I will see it again. 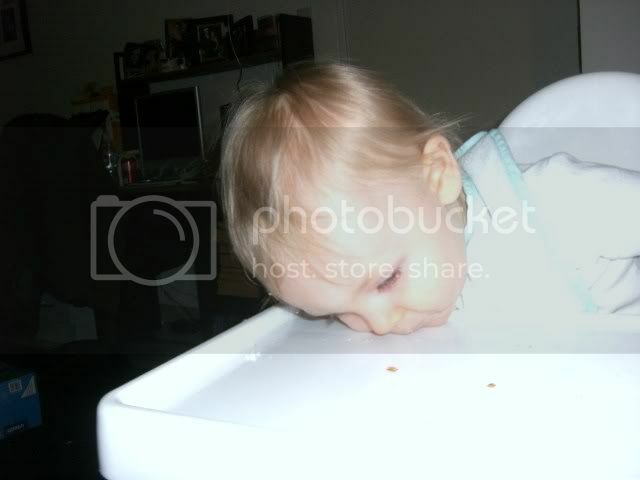 I was laughing out loud at the series of photos of Jocelyn trying to lick everything off of her tray. 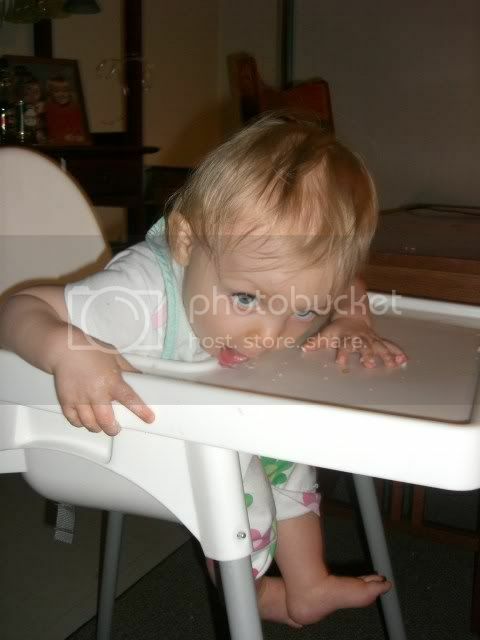 Even more funny b/c Jane just tried eating a bunch of raisins (sans hands) off of her little table the other day. Great minds think alike!